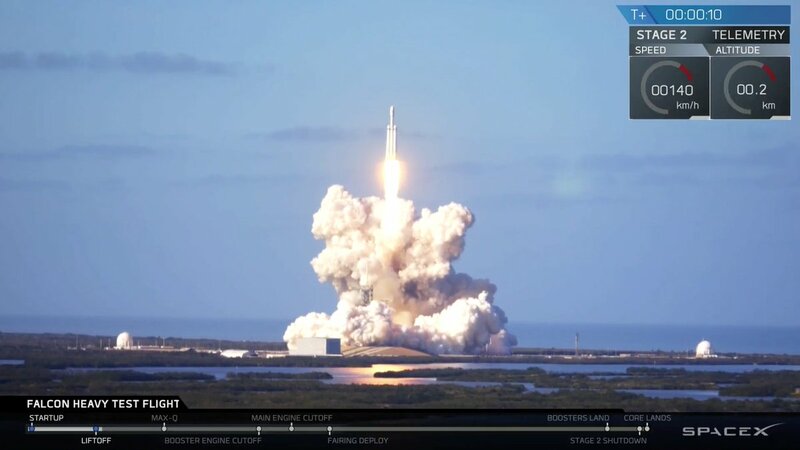 "Today SpaceX achieved a spectacular and historic success. Seven years ago, the Augustine commission said that NASA's Moon program had to be cancelled, because the development of the necessary heavy lift booster would take 12 years and 36 billion dollars. SpaceX has now done that, on its own dime, in half the time and a twentieth of the cost. And not only that, but the launch vehicle is three quarters reusable. The moment is at hand to open the space frontier. America should seize the time. You did it. They said it couldn't be done, but you did it. You made it look easy, but we know it wasn't. You took your knocks. You took your failures. But you fought it through. Fortune favors the brave. Fortune favors the smart. But most of all, fortune favors the tough. Talk about the right stuff. You guys are great. Hats off!"